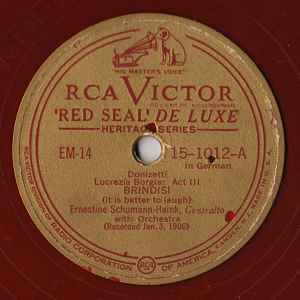 Translucent red vinyl with gold labels. Side A: In German, with Orchestra. Recorded Jan. 3, 1906, New York, New York. Side B: In Italian, with Orchestra. Recorded July 24, 1907, New York, New York.